2000 Merritt Assistant Coaches: Joe Gilliam, Sr. & Alvin Coleman, Sr.
*Season Parking passes are available to those who purchase season tickets only. 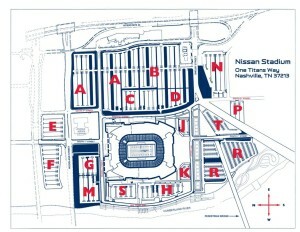 *TO PURCHASE PARKING PASSES IN ADVANCE, ORDERS MUST BE PLACED AT LEAST A WEEK PRIOR TO GAME. Bethune-Cookman parking/info Bethune-Cookman fans designated parking is lot H Click Here for Larger Map. Fans can purchase tickets and enter the stadium at gate 8. On the southwest side of the building. 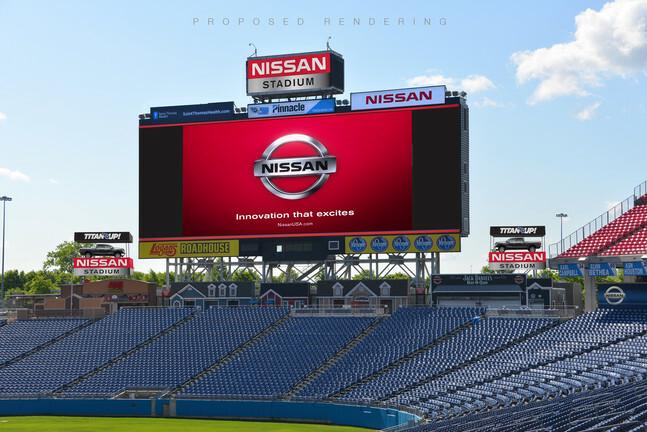 Strict bag policy will be enforced at the Nissan Stadium. Click here for details. No umbrellas will be allowed. This stylish hotel with its own art collection lies 2 miles from Nashville International Airport, and 6 miles from country music at Ryman Auditorium. Relaxed, contemporary rooms feature flat-screen TVs, pillow-top mattresses and free Wi-Fi. Suites add separate sitting areas and wet bars. Quirky in-room perks such as lava lamps and goldfish can be requested at the front desk; pet room service is also available. Hotel amenities include an outdoor pool, conference rooms, a ballroom that holds up to 700 people, plus free parking and an airport/local area shuttle. A casual restaurant and bar round out the offerings. Close to All the Sights. Join us at the Four Points by Sheraton Nashville – Brentwood, where you’ll enjoy boutique service, plenty of extras, and the convenience of being just 9 miles south of Nashville. We’re close to hotspots like the Grand Ole Opry and LP Field, home of the Tennessee Titans, as well as natural attractions and major corporate offices. We’re also within walking distance of great restaurants and retail shops. You Want It, We’ve Got It. As a full-service hotel, we’re proud to offer everything you need when you’re traveling. Be sure to enjoy some great meals and warm hospitality at our restaurant. And treat your body right at our fitness center, outdoor pool, or hot tub. Home away from Home. Our 212 guest rooms feature all the comforts you need, including the plush Four Points by Sheraton Four Comfort Bed™. You’ll also get free High Speed Internet Access and bottled water. Our top two floors are dedicated to executive suites. This modern airport hotel is a 4-minute drive from Nashville International Airport and a 1-minute walk from an MTA bus stop with service to downtown Nashville. Classic rooms feature free WiFi and flat-screen TVs, plus custom-designed beds, desks and coffeemakers. Suites add separate living areas and full kitchens. There’s a free on-site hot breakfast (daily) and weekday breakfast bags to go, as well as a fitness center and an outdoor pool. Additional amenities include meeting rooms and a business center, plus a free airport shuttle and parking. Hampton Inn Vanderbilt West End Hotel provides convenient lodging accommodations located one block from Vanderbilt University in the heart of Nashville, Tennessee. Enjoy our beautiful renovated hotel, free parking, hot breakfast buffet and wireless internet. Amenities include business center, fitness center and outdoor pool. *Rate is available on Sunday check-in only. Please ask for the Tennessee State University Corporate rate when making your reservation.